Endoscopy is a term for special investigations with regards to the digestive system. All diagnostic and therapeutic stomach and bowel camera tests are carried out by doctors and nurses that have high levels of expertise. 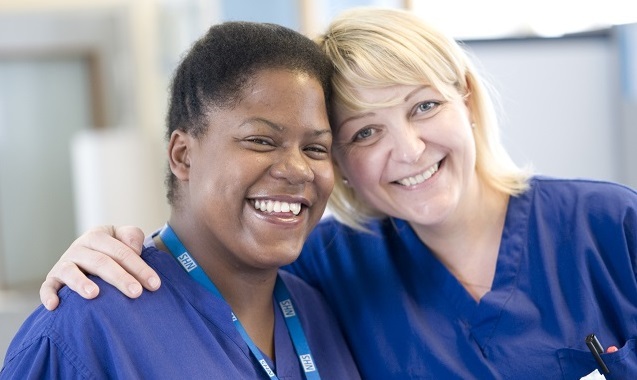 All endoscopists are supported by specialist endoscopy nurses and health care assistants. Both our units are equipped with modern, up-to-date cameras (endoscopes) in order to provide the highest levels of treatment and diagnostic procedures. We are proud to be a JAG accredited endoscopy service offering endoscopy procedures/investigations at both Epsom Hospital and St Helier Hospital. You can find out more about The Joint Advisory Group (JAG) on GI Endoscopy, and what this accreditation means, on the JAG website (opens in a new window). In this section you will find information about all the procedures and treatments we offer, including helpful links to external websites, as well as the key information about the endoscopy units and the members of staff that will be looking after you. The staff in the Endoscopy Team believe that patients have the right to receive specialised nursing care that is evidence based, reflects the personal needs of the individual and is provided within a safe and calm environment. The primary aim of the department is to provide a high quality, comprehensive endoscopy facility for all our patients. We aim to ensure that the service offered allows for sufficient capacity and facilities to offer our patients timely and appropriate care. We provide you with a full report of your procedure before you leave our unit. This means that you will be fully informed of the outcome of your procedure. We will also let you know if you need to have any further investigations. We welcome patient feedback and undertake a regular patient satisfaction survey. We also encourage patients to complete the Friends and Family Test. After 6pm and at weekends, in case of emergency only, please call the A&E Department at St Helier Hospital on 020 8296 2278. If you have any problems contacting us, please call NHS 111 or contact your GP.